We want to take a moment to congratulate Andrew Bunting for winning the 2012 Professional Citation award from the American Public Gardens Association (APGA) and the Certificate of Merit from the Pennsylvania Horticulture Society (PHS) this summer. These awards recognized his significant achievements and contributions to the horticulture field. 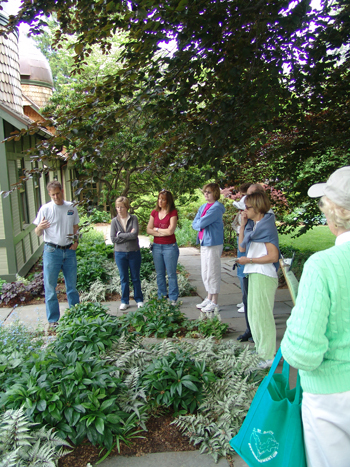 Andrew has been the curator of the Scott Arboretum since 1993. 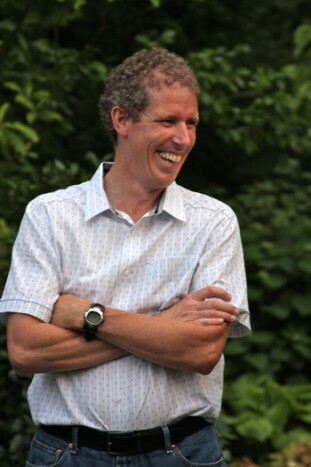 In his time here, Andrew has overseen the computerization of approximate 5,000 plant records and tracking of approximate 10,000 woody plant with GPS. He has certified our Magnolia Collection, Holly Collection, and Oak Collection with the nationally recognized North American Plant Collections Consortium (NAPCC) of the APGA. 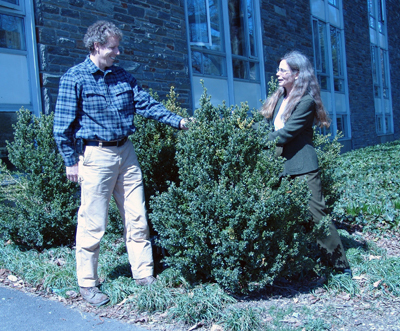 The James Frorer Holly Collection has also been designated as a National Holly Arboretum by the Holly Society of America. 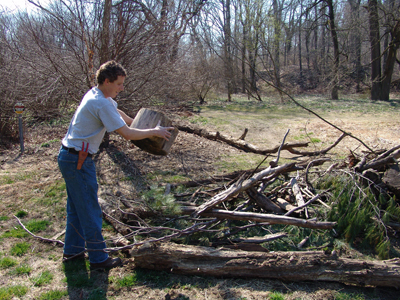 Through Andrew’s leadership, we also participate in the National Boxwood trials. Our collection is constant expanding and being evaluated to discover and promote the great plants for the Delaware Valley gardener because of his passion and curiosity. 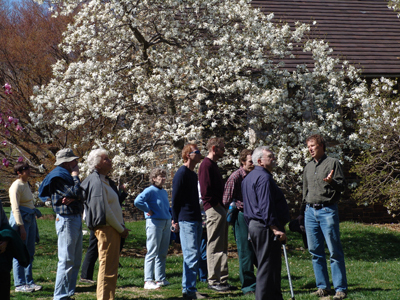 In addition to his curatorial work, Andrew shares his considerable plant knowledge through classes taught at the Scott Arboretum, such as Horticulture Seminar on Flowering Trees for Summer this March, and seminars given to Organization members of the Scott Associates. 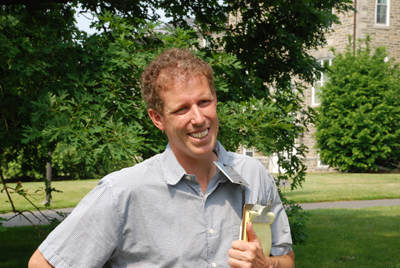 In addition to his efforts at the Scott Arboretum, Andrew is president of the Magnolia Society International, vice-president of the Delaware Center for Horticulture, and vice-president of the Swarthmore Horticulture Society. For PHS, he serves on the Design & Horticulture and Flower Show Executive committee, chairs the Flower Show Gardener’s Studio group, and is the past co-chair of the Flower Show Horticulture Classes. He currently serves on the NAPCC committee for APGA as well. Through these numerous achievements it is easy to see why APGA gave him the prestigious award of Professional Citation. This award recognizes the significant achievements in public horticulture of an individual member who has excelled in one of the disciplines generally associated with public gardens such as botany, horticulture, gardening, conservation, research, education, extension, development, or administration. Andrew embodies the awards ideals of great skills, innovation, and potential. PHS gives its Certificate of Merit to an individual(s), organization, institution, or business corporation for outstanding contributions to (or achievements in) horticulture or horticultural activities, including the Philadelphia Flower Show, Philadelphia Green, and PHS volunteers. 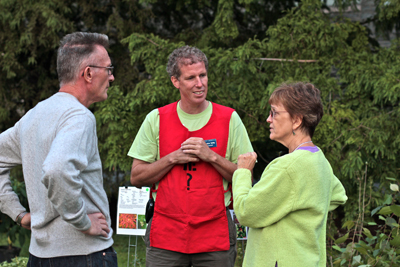 Thank you to Andrew for all that you do at the Scott Arboretum and for the field of horticulture. You’re darn right — yeah Andrew!!! What a plantsman, educator, leader, doer, sharer, and dedicator to the highest standards in horticulture. And best of all he belongs to Scott! Congratulations Andrew, and Scott. He really does seem to know every thing hort related and is generous with his knowedge. Your citation doesnt say anything about your private garden which is among the most beautiful and innovative I have ever seen – in the world. Many congratulations again, visit us again soon please Andrew – Our best wishes to Claire and all at Scott. Annette & Gordon Collier, Taupo. New Zealand. Thank you! Spending a summer (our winter) with you and Annette at Titoki Point was very meaningful to my career!